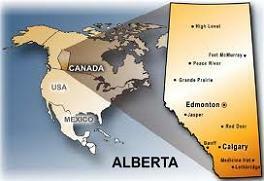 KELAW is a licensed immigration consulting firm located in the province of Alberta, Canada. We specialize in immigration services, student placement and international Professional and trade skills recruitment. Our network of agents in several countries ensures a smooth and quick processing of your applications. In countries where we have no agents, we are still able to process your applications thanks to availability of technology, thereby ensuring all our clients are provided with the same quality of service. KELAW is a member of Immigration Consultants of Canada Regulatory Council (ICCRC) and Canadian association of immigration Consultants (CAPIC). “Imagine the possibilities….dreams can come true”. Our mission is to help you make your dreams come true. By offering you prompt, efficient and professional service, you are empowered to make wise decisions. KELAW believes that, honesty, impartiality and integrity in its dealings with others are pre-requisites for successful and long-standing relationships. KELAW is committed to conducting itself fairly, honestly and lawfully in all its dealings with its clients and business partners. KELAW will not tolerate corrupt behaviour on the part of its clients or business partners. Protect your Canadian Dream by working with a KELAW immigration consultant. Play the video below for more information.